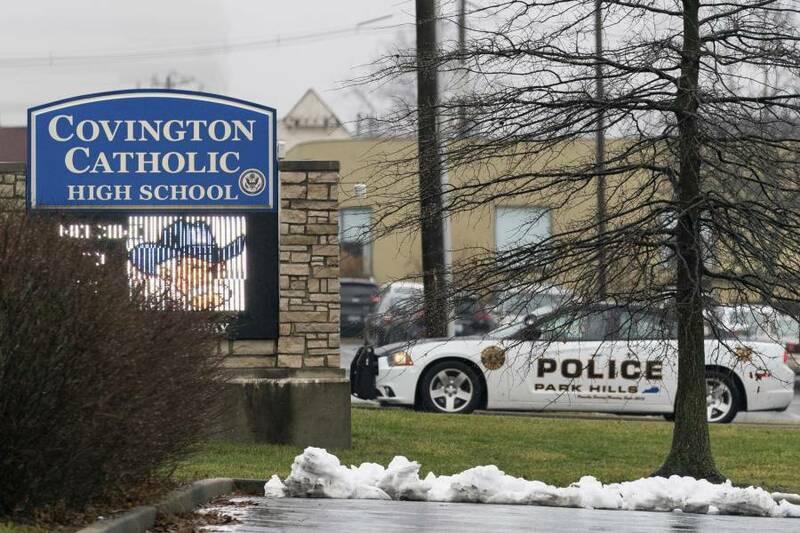 A police car sits at the entrance to Covington Catholic High School in Park Hills, Ky., Saturday, Jan 19, 2019. The school was closed after death threats from those irate at the false narrative of students there mocking a Native American elder after Friday's March for Life. An auxiliary bishop of Los Angeles decried the social media response to the Covington Catholic High School students Tuesday as “quite literally Satanic. Bishop Robert Barron, dubbed “the bishop of Catholic social media,” denounced social media users who slandered and at times urged violence against the Covington students filmed in a confrontation with Nathan Phillips, a Native American and U.S. Marine Corps veteran. Barron said the initial response toward the students, sparked by short excerpts of hours of video, was “morally outrageous,” especially given their efforts to harm the students’ lives. 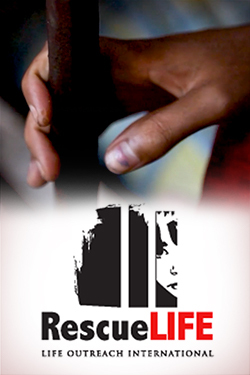 The bishop noted that the response went beyond cruel words into actions that could severely harm boys’ lives and their families. “I remember thinking, ‘Oh my goodness, do they realize what they’re doing? They’re effectively destroying, even threatening, this kid’s life,’” he added, referring to Nick Sandmann, identified as the boy who wore the Make America Great Again hat and who smiled at Phillips. Barron argued that the way social media users lashed out at the Covington boys was a prime example of what Franco-American philosopher René Girard called the scapegoating mechanism, in that the online community used the boys as a scapegoat for the rising tensions in the political and religious landscape of the U.S.